Ensure your products conform to the latest digital bus standards with BitifEye’s digital test solutions. BitifEye understands digital bus standards and can provide conformance test products for PCI Express®, Serial ATA®, SAS, USB®, HDMI®, DisplayPort®, MIPI M-PHY®, MIPI D-PHY®, MIPI C-PHY®. SD UHS®, Thunderbolt®, Type-C Connector, UFS® and Cable Test and more. BitifEye Digital Test Solutions GmbH is the market leader for high-speed digital receiver testing since more than 10 years. 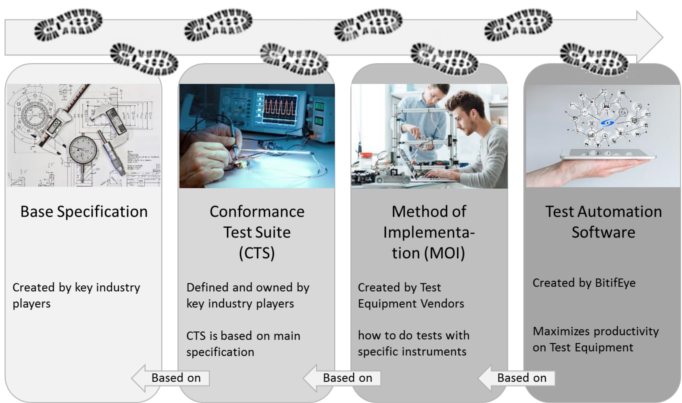 The company offers test software, hardware and accessories which complement Keysight´s product portfolio to highly integrated and automated application-specific test systems. BitifEye is a privately held company located in Boeblingen, Germany. Overlaying individual bits on test instruments such as oscilloscopes generates the „eye diagram”, a diagram which often has a shape similar to an eye as given in the picture above. 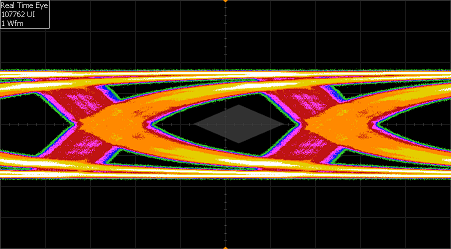 Reliable data transmission over digital interconnect buses requires that the eye opening is wide and stable. In short form, this translates to „Bit if Eye”.